Fitness apps cop a bit of a bad reputation when it comes to fitness technology. And to be fair, it’s deserved. When they first made their debut, fully robust fitness apps were limited to expensive devices which included multiple sensors. As technology surged forward, however, even basic phones gained these additions, and the world of fitness app functionality exploded. Keeping track of your activity is the biggest benefit of a fitness app, and a feature most fitness apps excel at. By loading in your current fitness routine and eating plan, and then marking it off as you go along, fitness apps can keep detailed nutritional information alongside tracking your muscle growth and even body fat index. Isolating which exercises and foods are working is a challenge for all athletes, but something which a fitness app can help with. By providing detailed progress information, users can easily identify high and low points of their routine and make tweaks until satisfied. Finding and making healthy and nutritious meals aren’t always possible with a busy routine. Advanced fitness app can, based on your dietary requirements, provide recipe suggestions and accompanying shopping lists to help you stay eating well during your fitness journey. Connected clothing is becoming more and more popular. You only need to see the Groupon Coupons page for Road Runner Sports to see their growing popularity. These physical items can be connected to fitness apps to provide even more detailed fitness tracking information. While nothing can replace the gym, fitness apps can come pretty close. With included workout sheets and instructional videos to follow along with, fitness apps can complement an existing fitness routine. Extending its functionality; these apps can also feed this information into the other aspects of your fitness which is being tracked to keep your reporting data accurate. Staying motivated during your fitness journey is no easy task. With food challenges ever day and the exhaustion of the gym, reaching your goal can seem unattainable. 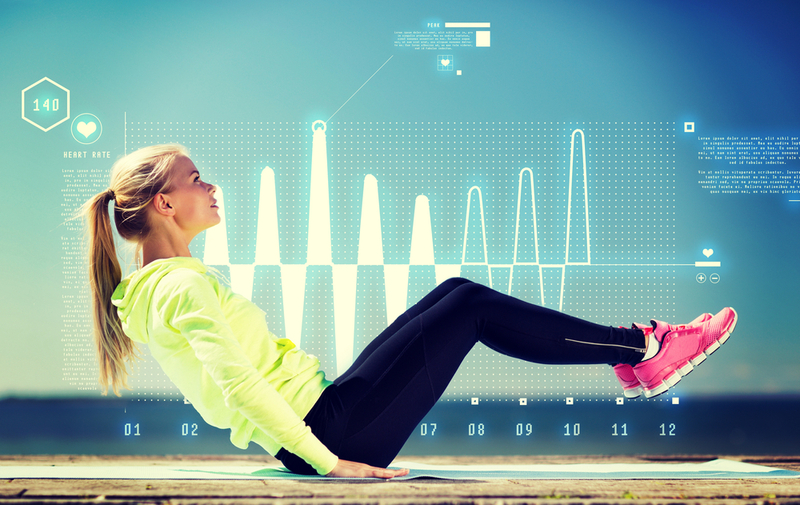 Through various methods, fitness apps work to keep users motivated and on target towards their fitness goal. While fitness apps may not be able to completely replace personal trainers and visits to the gym, there is a lot they can offer an everyday fitness enthusiast or somebody looking to continue their exercise outside of the gym.